Alas, ever since I started using Software Defined Receivers (SDRs) last year, I’ve found that I fill up hard drives faster than I can buy them. As you may have noted, I like to make spectrum recordings–especially during the night-time hours, as I slumber. The following morning, upon waking, I’ll “tune” through, say, the 31 meter band as if it were live. What makes it even more amazing for me, is that I can fast-forward through time and scan for DX stations even more quickly. Great fun–highly addictive. And did I say, space-consuming? On my WinRadio Excalibur, I find that I use about 4 gigabytes of hard drive space for a one-hour-long spectrum recording, 100 kHz wide. Of course, if I were to record a 2,000 kHz (2 MHz) chunk of spectrum, it would chew through 4 GB in, roughly, 3.5 minutes. Fortunately, I rarely ever record spectrum that wide. I find that the maximum width I ever record is 1.25 MHz, which I reserve for occasions once in a blue moon. Most of the time, I stick to 100 kHz-160 kHz widths. After I record a chunk of spectrum, I usually listen to it, create an AF recording of anything of interest, then delete it from my drive. You’d think this would effectively keep my hard drive cleared out, ready to receive the next installment? Not so. Well, at least, not in my undisciplined SDR beginnings. Quite often, I make spectrum recordings while traveling, and do so remotely (using TeamViewer to control my PC). In the past eight months, I’ve done a lot of traveling. When I return from a trip, I find that I’ve often amassed a sizable collection of spectrum recordings. Upon returning from travel I also find (not surprisingly) that I’m typically busier than normal, catching up with email, phone calls, and delayed appointments. Thus, I never quite get around to reviewing–and therefore deleting–these files. Most of the spectrum recordings taking up space on my internal drives are those I’ve recorded remotely. As I write this today, I find I only have a total of 350 GB available on my PC. I’ve also filled an entire 1.5 TB external hard drive with recordings I plan to archive and share with a fellow SWLer. 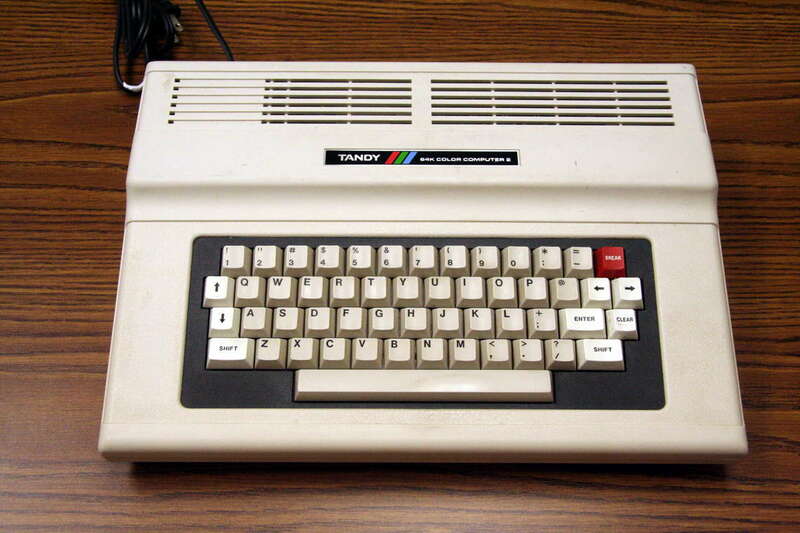 Reverse to the 1980s: When I was ten years old, I thought my Tandy Color Computer 2 was the best thing since sliced bread. Its 16 kB was surely plenty of memory for whatever I wanted to do, and the cassette tapes I used as a form of external hard drive gave me the certainty of a virtually limitless supply of memory. Today, I doubt I could make an intelligible MP3 recording, even with aggressive compression, that would fit a 16 kB file size. The frank fact is that I’ve gotten much better at managing hard drive space, now that I’ve been doing spectrum recordings for more than a year. I shouldn’t need to buy additional hard drive space unless it’s specifically for archiving/sharing purposes. I just need to regularly face the music (or static)–dig through spectrum recordings made last year, and delete those I no longer need. If possible, have your SDR parse files into 2GB chunks. This makes it easier to delete sections of recording that are no longer needed without having to delete the entire recording. Happily, the WinRadio Excaliber allows for this. Use Notepad or any simple text application and create a log sheet for the spectrum recording; make notes, then save it in the same directory as your spectrum recording. Delete unwanted spectrum recordings as soon as you decide they are not worth keeping. If you wait a few days, you may forget that they’re okay to delete. I also use my Bonito RadioJet for narrow IF recordings (of, say, one station). It allows me to adjust filters and “tune,” but takes very little hard drive space. 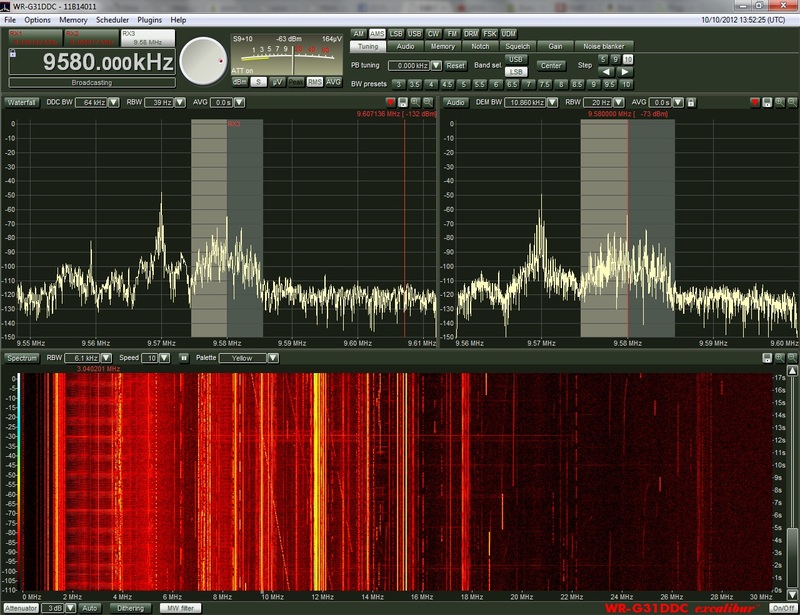 The same can be achieved by narrowing your SDR spectrum width to 20-48 kHz. Are you an avid shortwave/medium wave audio archivist (aka, audio addict)? What are your tricks of the trade? Please comment! This entry was posted in Radios, Software Defined Radio and tagged Bonito 1102S RadioJet, Caps, Captures, SDR, SDR Spectrum Recordings, Software Defined Radio, Storage, Winradio WR-G31DDC Excalibur on May 1, 2013 by Thomas.